Due to the corrosion resistance of stainless steel, these springs can help prevent corrosion on the spring rod and other surfaces, which can negatively affect the performance of the spring. Stainless steel gas springs are noted for their many favorable qualities. First, stainless steel is very strong, so stainless steel gas springs are noted for their high strength. In addition to resistance to corrosion, these springs also offer durability. They are also available in a wide range of sizes, end fittings and force ratings. Stainless steel gas springs are available in many varieties, such as micro, tension, torsion, compression, locking and non-magnetic (for MRI applications). Stainless steel gas springs may utilize a release ball valve, which allows the installer to emit gas until the desired force is obtained. 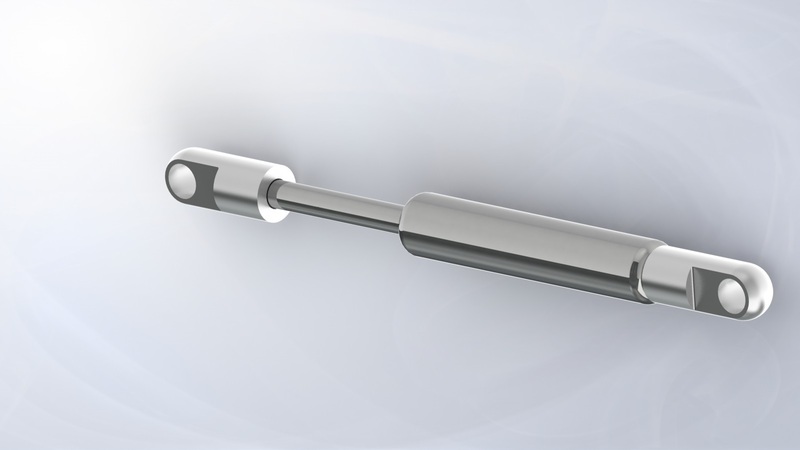 Due to their construction, stainless steel gas springs are ideal for numerous applications. Food and beverage processing plants as well as medical suppliers utilize the stainless steel gas springs particularly because stainless steel is a naturally sanitary metal, and that is very important in all aspects of those two industries. Some of the other many industries that use these springs include the marine, automotive, petrochemical, pharmaceutical and construction industries. Most of the gas springs used in various industries today may be made from stainless steel. Locking gas springs, which function as a safety measure and breaking system for certain mobile products such as adjustable seats, hatches and lids, may be made of the steel alloy. It can also be crafted from aluminum or various thermoplastics depending on the characteristics the specific application requires, but often enough is made from stainless steel. The compact suspension air spring known as a gas strut must be strong, compression resistant and sanitary, which means stainless steel is a common material for it as well. Tension gas springs, which are pneumatic energy storage devices that absorb shock in a closed or compressed position. They must be strong and naturally kinetic absorbent, making stainless steel an ideal option for its construction. The precision necessary to make a gas spring function properly requires careful design and meticulous detail during the building process. Without a proper material, such as stainless steel, none of these springs would be as successful as they are. Stainless Steel Gas Springs One of the most popular varieties of gas springs are stainless steel gas springs.